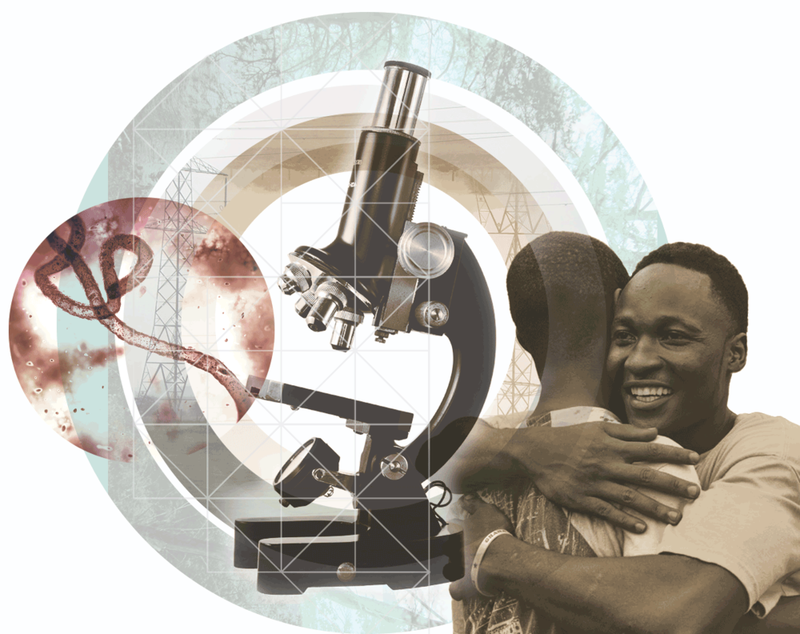 Booklet designed to highlight Paul Allen's work to eradicate Ebola. My work involved a thorough discovery process which included a creative brief, mood board study, graphic design and project management. all of which was shot in the Ebola zone during the crisis. I used wireframes to facilitate a conversation around content structure, flow and available space. Mood boards are a central part of design thinking. In this case, I used mood boards as a research tool and to help the client understand the general visual direction of the project. 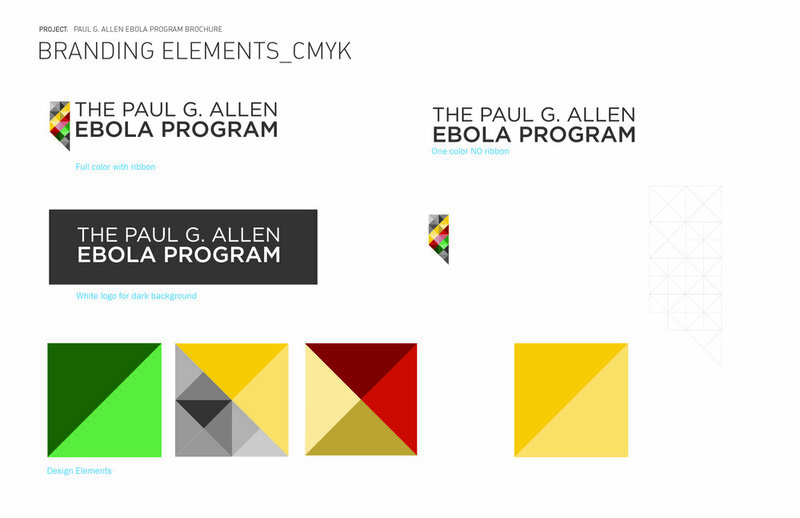 I've included the client's brand guidelines to show how their branding will fold into the overall concept. The client requested that we include a photo of the Survivor's Tree in the brochure. It became a central motif in the brochure. Here I've used it in a graphical way to show how textiles will become a part of the overarching concept of this piece. Textiles were a big element of this brochure from the colorful photography itself, to the unique similarities of the branding elements.